This past September we travelled to the Omo Valley Region in Ethiopia with Epic Photo Tours. Co-leader Catherine Farquharson has produced a magazine which contains images by the tour participants. 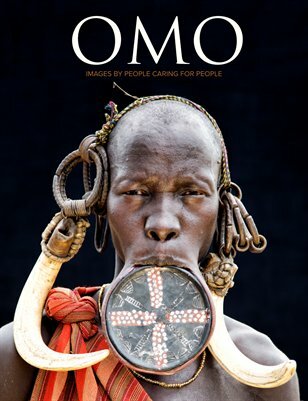 The proceeds from the sale of the magazine will be donated to OMO CHILD, an organization which we strongly support, and which is devoted to the care and rescue of Mingi children. Mingi is the ritualistic killing of infants and children believed to be cursed by tribes living in the remote Omo Valley region of Southwest Ethiopia. OMO CHILD’s mission is to provide a safe, nurturing home and quality education for rescued Mingi children. OMO CHILD's hope is that these children will become future leaders in their tribes and communities. They also raise awareness about the practice of Mingi and work to see it eliminated. This is the direct link to purchase the mag. It is selling for $40 (it costs $12 to print and $28 goes to Omo Child). You may also purchase a digital version for $5. ($2.50 goes to Omo Child). If you buy the print version, you will get a digital version for free.